The outfit is something I wore to Sofar Sounds pop-up gig last month to see some live performances with a friend- pretty good stuff! your eyebrows are so perfect!! love your jeans and i WANT those shoes!!! Beautiful! Love the outfit as well. Those heels are beyond amazing ...must get my hands on something similar. and lovely heels btw. Gonna look for them. Great simple chic look and minimum make-up..Just cool! guuurl tha tface is perfection. those shoes, to dye for. 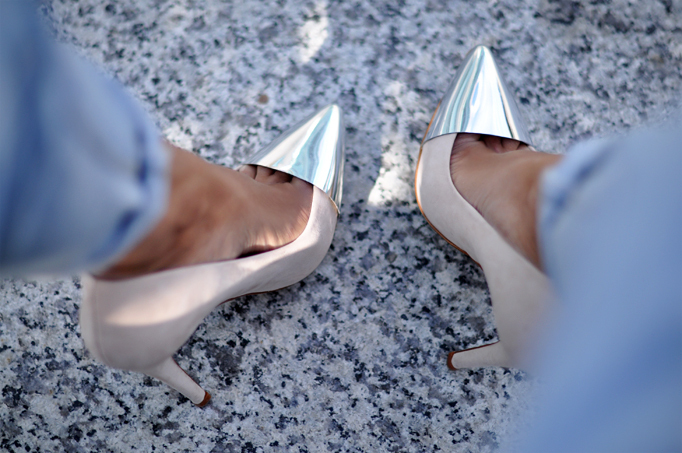 i love pointed heels as well :) they're so chic and feminine! and you look gorgeous as always, dear. loving your jeans and top. your eyes are also amazing girl! These pics are so beautiful! Amazing eyes. You're gorgeous!! And I love the pictures you took, they're amazing! Amazing pictures, you're te most gorgeous person ever! ps. you are beautiful woman ! You look so pretty, the first picture is my favourite! You are gorgeous!! I love your shoes so much!!! I can't wait for a powerful photo of your face from straight on. i feel like that would be breath-taking. much love ! Gorgeous. I love the simple yet elegant look. Such a beauty. Wonderful pics. I love your eyes <3 and your shoes looks great! You are soooo pretty!! :) Great photos! 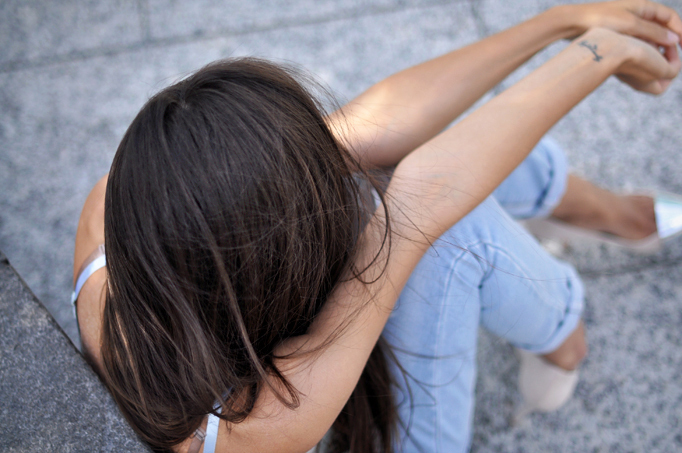 amazing pictures you are beautiful and fotogenic, heels are so cool. I wanted to get same piar but the smallest size is too big for me..
First of all you are ABSOLUTELY STUNNING! Second, I am officially in LOVE with your blog! I'm so glad I found it! I'm you newest follower pretty lady! you´re such a beautiful young woman! Stunning... Tell us how you take care of your eyebrows? using a eyeshadow or maybe a henna eyebrows? Wow!You are stunning!I love your hair!You have beautiful hair!What shampoo do you use?